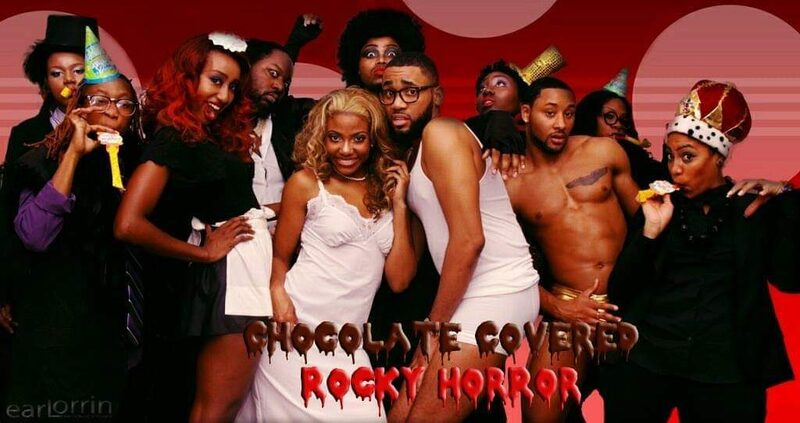 Chocolate Covered Rocky Horror is a Shadow-cast Ensemble. We are literally acting out what’s happening on screen live on stage as the movie plays. There is no dialogue only vocals, cast members will sing along with the film in addition to dramatically pantomiming the dialogue and action. You must watch the film to get the Role, mimic everything the character in the film does but in an Soulful manner. Most of our cast members have purchased the film, or watched it through online resources. Learning the film is up to you. We do not watch the film in rehearsal, just rehearse the scenes. The film is called The Rocky Horror Picture Show. 1975. We are Casting Actors, Singers, Dancers, Models for the shadowing of the following Characters. · Meat Loaf as Eddie, an ex-delivery boy . Dancer. Thank You for your Inquiry of The Rocky Horror Picture Show. We hope to see you Tuesday, December 18th. YouTube (karoaoke versions) is a great way to learn songs.